Prague (AFP) - Czech President Milos Zeman called the current wave of refugees to Europe "an organised invasion", adding young men from Syria and Iraq should instead "take up arms" against the Islamic State (IS) group. "I am profoundly convinced that we are facing an organised invasion and not a spontaneous movement of refugees," said Zeman in his Christmas message to the Czech Republic released Saturday. He went on to say that compassion was "possible" for refugees who are old or sick and for children, but not for young men who in his view should be back home fighting against jihadists. 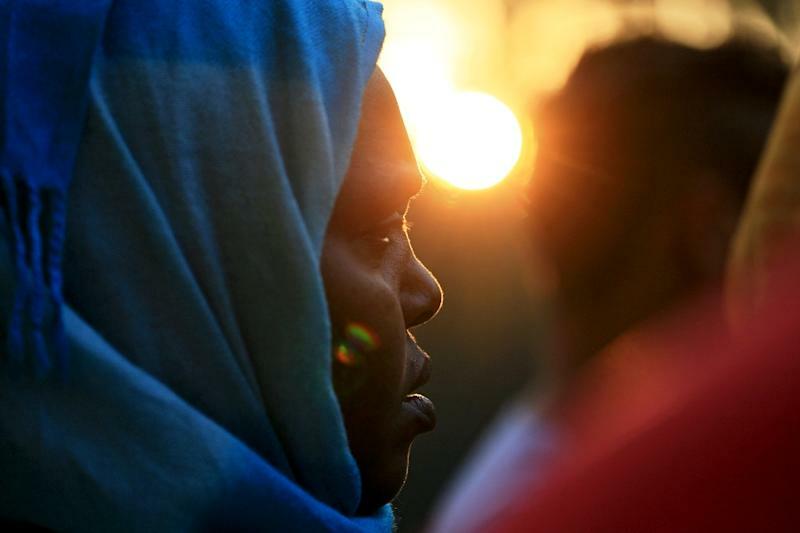 "A large majority of the illegal migrants are young men in good health, and single. 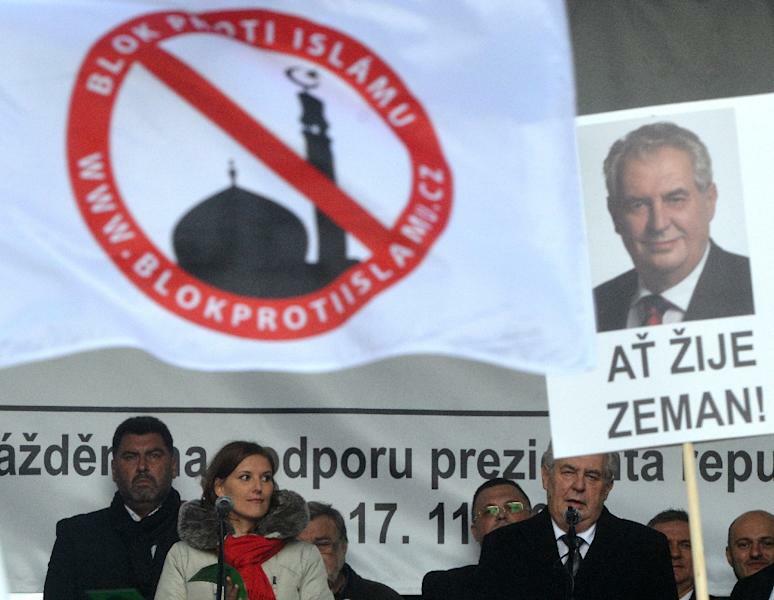 I wonder why these men are not taking up arms to go fight for the freedom of their countries against the Islamic State," said Zeman, who was elected Czech president in early 2013. He added that their fleeing their war-torn countries only serves to strengthen the IS group. The 71-year-old evoked a comparison to the situation of Czechs who left their country when it was under Nazi occupation from 1939-1945. It is not the first time Zeman has taken a controversial stance on Europe's worst migrant crisis since World War II. In November, the leftwinger attended an anti-Islam rally in Prague in the company of far-right politicians and a paramilitary unit. The country's Prime Minister Bohuslav Sobotka, who has previously criticised the head of state's comments, said Zeman's Christmas message was based "on prejudices and his habitual simplification of things". Migrants are not the only target of Zeman's caustic remarks: he said last week that his country should introduce the euro on the first day after indebted Greece's departure from the common currency, causing Athens to recall its ambassador. He also said he was "very disappointed" that talks in the summer to eject Greece from the euro did not come to fruition. Both the Czech Republic and Slovakia, former communist countries that joined the European Union in 2004, have rejected the EU's system of quotas for distributing refugees amid the current migrant wave. More than one million migrants and refugees reached Europe this year, mainly fleeing violence in Afghanistan, Iraq and Syria. The crisis has strained ties within the European Union, with mostly newer members taking a firm anti-migrant stance and some northern countries like Germany welcoming those fleeing war. Few asylum seekers have chosen to stay in the Czech Republic, a NATO member nation of 10.5 million people. 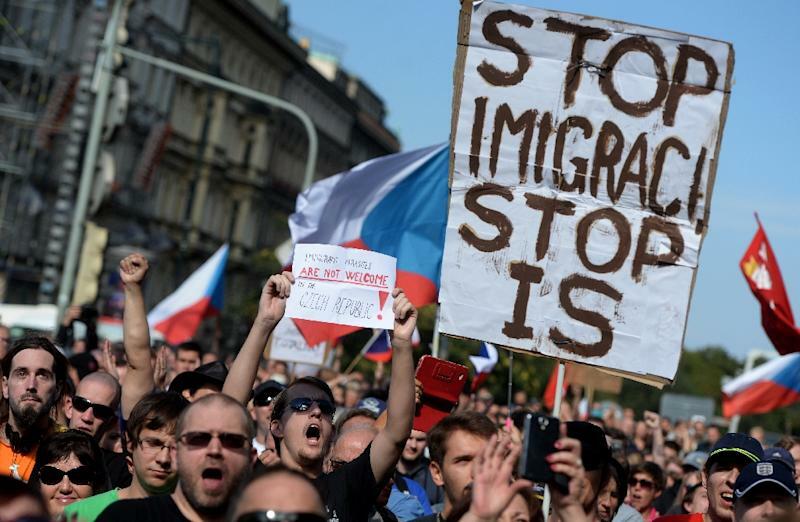 Regardless, a recent survey showed that nearly 70 percent of Czechs oppose the arrival of migrants and refugees in their country.